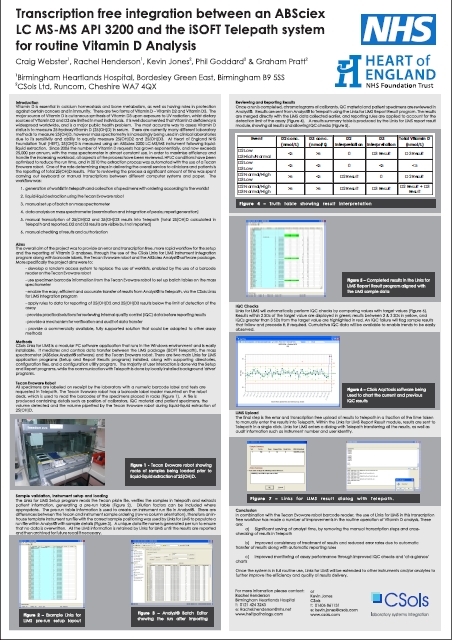 The following automation solution was prepared in collaboration with Craig Webster and Rachel Henderson at the Heartlands Hospital in Birmingham and is an example of the type of integration possible between Mass Spectrometry instruments and Clinical LIMS or middleware systems. 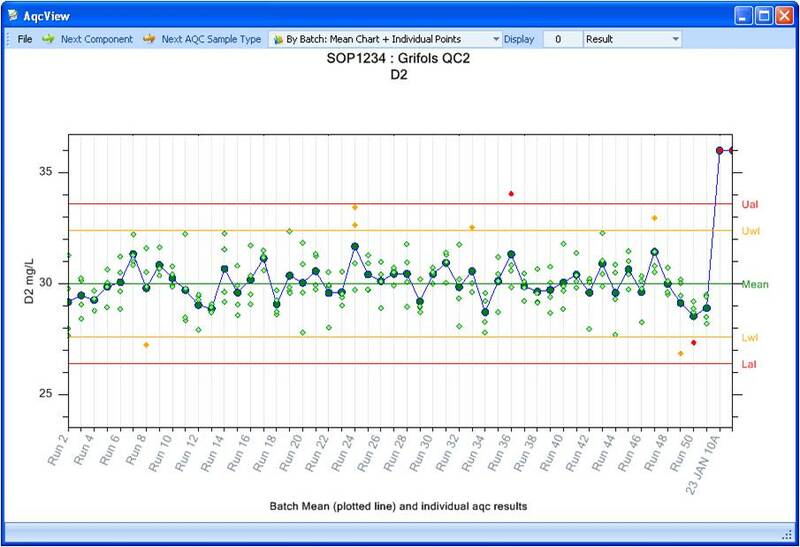 AB Sciex Triple Quad mass spectrometry systems are now being routinely used in pathology laboratories to screen for Vitamin D in plasma samples where clinicians suspect a Vitamin D deficiency or related condition. As an example at Birmingham Heartlands Hospital an AB Sciex 4500 LC-MS/MS instrument is used to provide the necessary sensitivity to perform this assay and detect both Vitamin D2 and D3 forms as an alternative to the existing immuno assay methods. At Heartlands the iSOFT Telepath LIMS/LIS database system is used request tests and to transmit results to users. Telepath runs on a central server and supports 100 users across 4 departments. 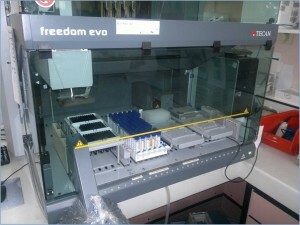 It operates 24 hours a day and routinely processes 1,000,000 samples per year. Although access to it is from a number of networked PCs in the laboratory, there was still a lot of manual transcription steps to correctly assign samples, set up the instrument, process results correctly and link to Telepath. Often routine interaction with Telepath for this analysis alone was three man hours per instrument run (usually one run per day). Links for LIMS has been implemented at Heartlands to eliminate all the transcriptions carried out between the LC/MS-MS instrument and Telepath and to assist with the automation performed by a Tecan Evo sample preparation robot.